River communities have a special magic to them. St. Helens, which lies along the Columbia River, especially has an idyllic, calming and enchanting atmosphere. Now that I have lived in St. Helens for several months, it’s easy to see the important role played by the Columbia in the community. St. Helens captures the spirit of rural Oregon and its special relationship with the environment. 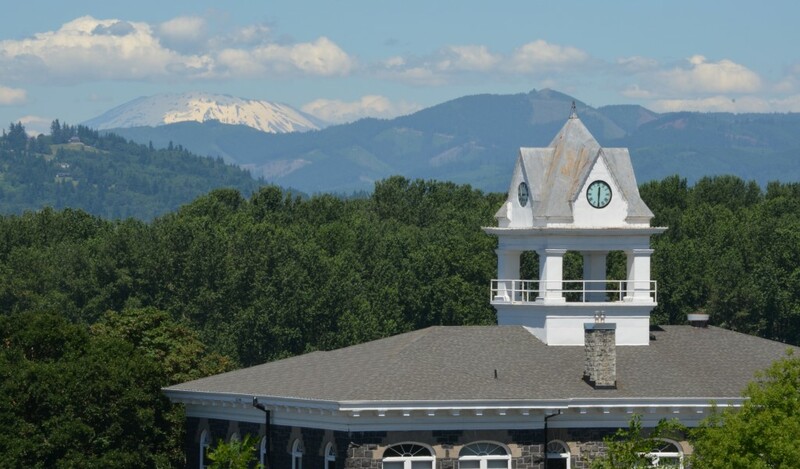 The residents of St. Helens love their forest and the surrounding mountains that contain them. And they love the water that feeds the trees, constantly falling from the sky, recycling off the mountains and back into the river. The river brings celebration of community, of family, and of water and everything that’s made out of it. Oregonians especially love beer. The St. Helens Economic Development Corporation, otherwise known as SHEDCO, understands this love. SHEDCO is the downtown association that I was brought in to work with. Their general mission is to support the economic vitality of St. Helens by supporting the local small business owners. So this past year on the nationally celebrated Small Business Saturday in November, SHEDCO decided to host an event that helped drive customers to the local businesses by capturing on the love of locally produced beer and wine. In preparation for the Shop and Sample event, SHEDCO asked local businesses to host stations in their shops. Each station sampled one regionally produced beverage and one locally produced snack item to customers that had purchased tickets to the event. Shop and Sample was a huge success. Local businesses were able to bring unique foot traffic into their stores and many local food producers that do not have a store front were able to highlight their products for free in someone else’s store for a day. Oh, and of course, all the event attendees left happy, full, and with a positive opinion of what our community is capable of. Shop and Sample wasn’t just SHEDCO. It took a lot of collaboration with our local partners. Several wineries and groceries donated cases of beer and wine, local shops opened their doors and displayed Small Business Saturday marketing materials in their windows, other local organizations helped get out the word about the event, and we couldn’t have gotten very far without the locals’ support. In St. Helens and all across Oregon, locals that love their community seems to have an uncanny ability to pull together and uplift their communities no matter how small. I can’t really explain this devotion, besides to say, maybe there’s something magically about the water. People may be surprised when they learn that my love for the natural world and commitment to international communities began when I was twelve in Australia. People to People, a NGO started by Eisenhower, invited me to join a trip through Australia as a student ambassador. I took the year o my volleyball team to spend me raising the money for the trip. At the me, I had no idea that this decision would lead me to discover my life passion. Working in a rural village in Burkina Faso with the Peace Corps has been my most significant accomplishment. During my service, I assisted a subsistence farmers’ association improve their food security by implementing a number of ecological‐friendly techniques.